Sri Lanka Tourism sets an ambitious target to attract one million tourist arrivals from the country’s largest tourist source market, India this year, by more than doubling over the 2018 Indian tourist arrivals. 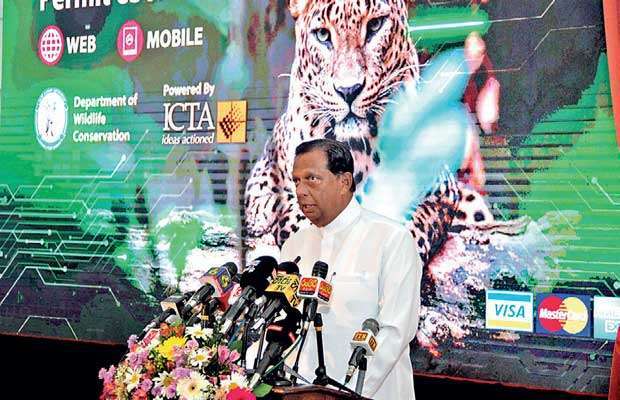 Tourism Development, Wildlife and Christian Religious Affairs Minister John Amaratunga told Mirror Business yesterday that Sri Lanka Tourism is focusing more on maximizing the benefits from enhancing air connectivity between the two countries to attract high-yield MICE and leisure tourists from India this year. Sri Lanka attracted 424,887 Indian tourists last year, accounting for over 18 percent of tourist arrivals to the island nation.The minister said that Sri Lanka Tourism targets three million tourist arrivals this year, in which tourist arrivals from India are expected to contribute to over 33 percent of arrivals. He was confident that the tourism industry would become the second highest foreign exchange earner for country by the end of this year while noting that the industry’s target to reach this position last year was disrupted by the ‘political upheaval’. Amaratunga last week attended the India International Travel & Tourism Exhibition held in Mumbai, where he had held discussions with Indian tour operators, wedding planners, media and movie producers. He revealed that as a result of these discussions, the Tour Agents Federation of India has agreed to hold its annual convention in Colombo, this June, where 800 Indian travel agents are expected to participate in the convention. In addition, Amaratunga said that Indian wedding planners and movie producers would also visit the country. During the convention, the minister, along with the key stakeholders of the tourism industry, is expected to explore avenues to boost Indian tourist activities in Sri Lanka, in the areas of leisure, MICE and film tourism. Speaking of China, the second largest source market for Sri Lanka tourism, he said that the government would also increase promotional efforts to attract more tourists from China this year, with the launch of the much-anticipated Global Promotional Campaign. However, Amaratunga said that the Global Promotional Campaign might not be launched at the Intelrnationale Tourismus-Börse Berlin (ITB Berlin) in March, as originally planned and instead, it might get pushed to be launched at the Arabian Travel Market (ATM) in Dubai, in late April. However, he stressed that the Global Promotion Campaign somehow has to be launched within this year. The officials of the Sri Lanka Tourism Promotion Bureau (SLTPB) reasoned that the political turmoil towards the end of last year had adversely impacted the activities of the SLTPB, causing delays in preparation of the final detailed plan for the Global Promotion Campaign. “Due to the political upheaval, we couldn’t get everything prepared for the Global Promotional Campaign on time to be launched at the ITB Berlin,” an official said. Under the Global Promotion Campaign, the SLTPB planned to carry out destination promotion activities in key source markets of Sri Lanka tourism, for three years, at an approximate cost of Rs.3 billion. In September last year, the Cabinet of Ministers gave the conceptual approval for the Global Promotion Campaign, which included the new destination brand identity and tagline. The new destination brand identity and tagline of Sri Lanka Tourism: ‘So Sri Lanka’ was launched at World Travel Mart (WTM) 2018, in London, as scheduled, despite the country was plunged into a political crisis at the time. However, the SLTPB is yet to finalise the detailed plan for the Global Promotion Campaign to award tender contracts, subject to the approval of the Cabinet, to marketing firms, to carry out the promotions in the respective targeted markets. Within this week, Amaratunga is also expected to appoint chairmen for the SLTPB and SLTDA, which have been filled with temporary chairmen appointed under the instructions of the President. “We have submitted nominees for the chairman posts of the SLTDA and SLTPB to the Prime Minister. We have selected the top industry professionals for these posts,” he said. Following the Prime Minister’s approval, the nominees would be sent to the Presidential Secretariat, which would be finally forwarded to the approval of the committee appointed by the President.